There has been no end to the records 'Baahubali' has been making ever since it's release on July 10th. Recently it became the first non-hindi/non-bollywood film to enter the 500 crore club. 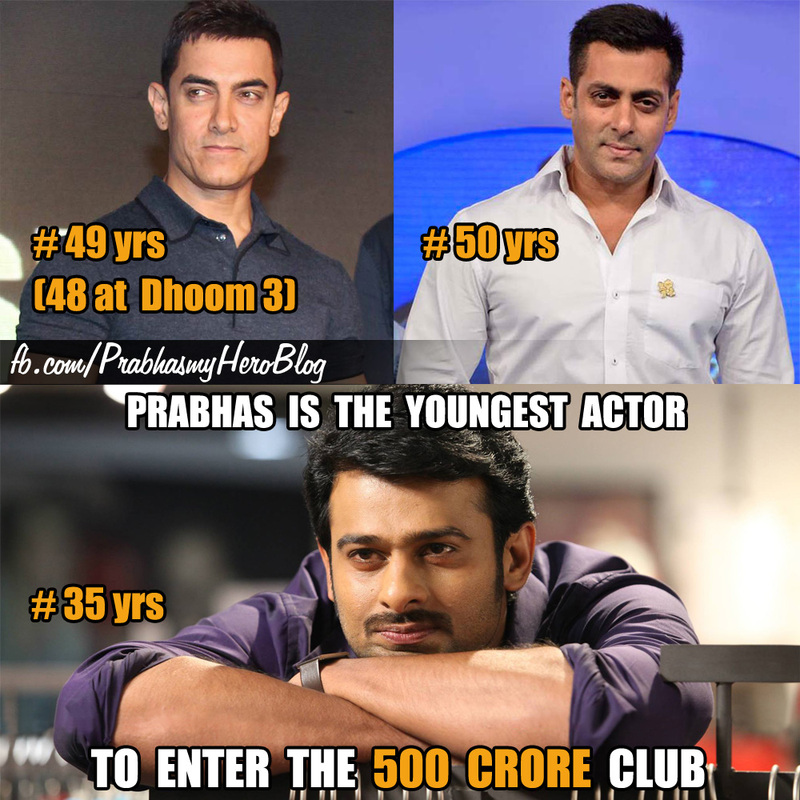 This feat also ensured a unique record for our Darling, Prabhas. He is now the youngest actor to enter the 500 crore club, so far held by only the two Khans - Aamir Khan (PK & Dhoom 3) and Salman Khan (Bajrangi Bhaijaan). Aamir Khan was 48 when Dhoom 3 got released and Salman had already hit half-century by the time his first film could enter the 500 crore club. It is also worth mentioning that Aamir's QSQT was released in 1988 and he has acted in more than 45 films in his 27 year old career. Salman's Maine Pyar Kiya released in 1989 and so far he has done more than 70 films. The point which i wish to make here is that their relatively long career ensures a wider fan base, which is crucial for any big actor. 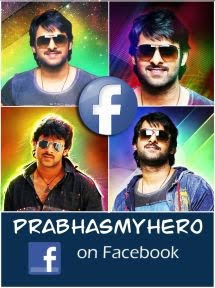 Prabhas, is a relatively very young actor whose first film released in 2002 and so far he has done just 17 films including Baahubali. This unique record of Prabhas will take a long time to break just like the record collections of Baahubali.